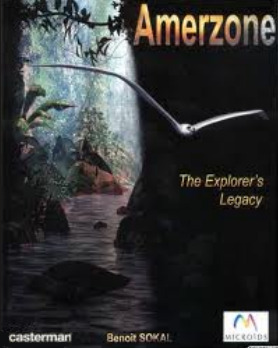 Amerzone: The Explorer's Legacy is an adventure game by Benoît Sokal, who would later go on to make the Syberia series. In the game, a journalist visits an old man who made a claim 60 years ago that he saw a giant white bird in the mysterious Amerzone region. It was released for Windows on October 18, 1999, for PlayStation in Europe on December 13, 1999, for iOS on June 6, 2011, for MacOS X on October 4, 2011, and for Android on January 29, 2014.